> Blog > Personal Injuries > Portland Personal Injury Lawyers > Personal Injury 101: What Is Negligence? Personal Injury 101: What Is Negligence? 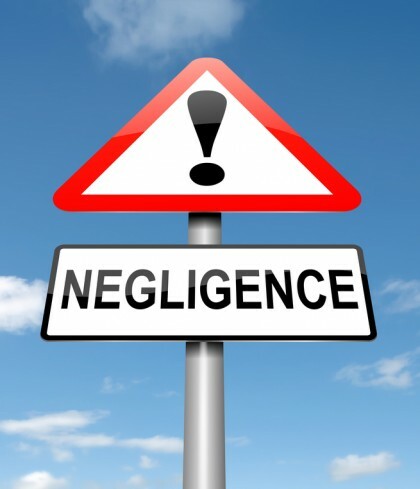 Negligence is a legal concept that refers to some party’s failure to act with a certain level of care and, as a result of this failure, put others’ safety at risk. Serving as the basis of personal injury lawsuits, negligence is closely tied to liability, as the party that acted negligently will also be the entity responsible for compensating those who were injured by the negligence. Negligence is the basis of personal injury claims, our Portland personal injury lawyers explain. Here’s what prospective plaintiffs should know about negligence & PI cases. A duty of care existed: In other words, one party had a duty to act with a certain level of care in a given situation. This duty was not met: In one way or another, the responsible party failed to act as carefully as (s)he should have, breaching the necessary duty of care. The failure to meet the duty of care caused harm: The breach was directly responsible for hurting someone else, causing physical injuries, emotional distress, property damage and/or other losses. Driver negligence, such as drunk driving, distracted driving, failing to follow traffic laws, etc. Other negligence, which can arise when, for instance, certain parties fail to safely maintain roads. Professionals’ negligence, which can include the negligent actions of nurses, doctors, surgeons, anesthesiologists, etc. Technicians’ negligence, which can arise when, for instance, a technician fails to properly install and/or repair a consumer product or appliance. If you or a loved one has been harmed by any form of negligence, you can rely on the Portland personal injury lawyers at the Savage Law Firm for experienced help and aggressive legal advocacy. For more than three decades, our lawyers have been devoted to providing each of our clients with personal attention, respect and the highest quality legal services. We realize how devastating a personal injury can be on a physical, psychological and financial level. That is why our lawyers are here to aggressively defend injured people’s rights, help them hold negligent parties accountable and work diligently to help them secure the justice and compensation they deserve.